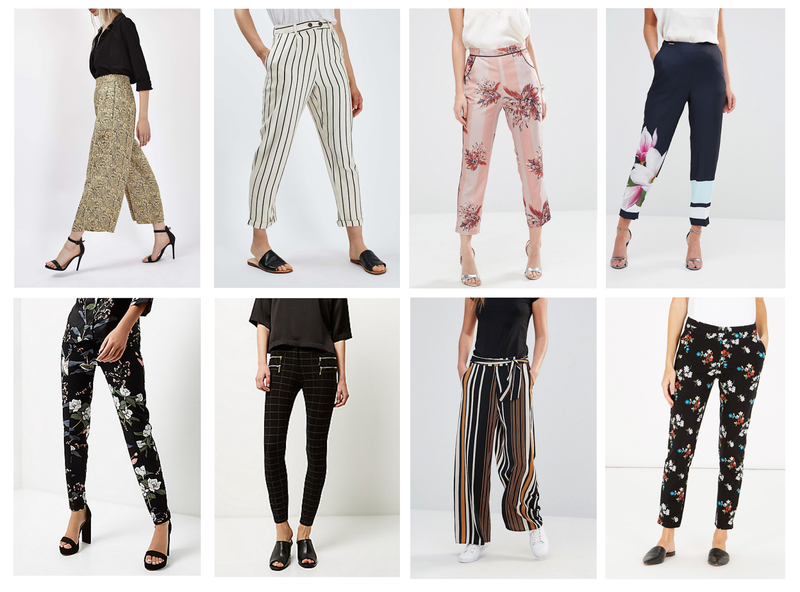 If I could be the queen of one thing in fashion, I'd love to be the queen of printed trousers. I love printed trousers and I seriously do not have enough printed trousers in my possession. Window shopping for some new ones to add on my Christmas wishlist, I found the amazing collection I picked to feature on this week's wishlist. My favourites have got to be the pink floral trousers simply because I love pink and floral Ted Baker ones to the right of them. I love Ted Baker, but I'm just gutted every time I see their price points. Even their sale ones. The thing I love about printed trousers is that they're fun to style and wear, smart and great for work. Being a teacher-to-be, I need to think about a smarter and more work friendly wardrobe. I want what I'd like to class as a stylish and on trend work wardrobe. I'm already developing a hard love for brands like Oasis and Warehouse simply because they're clothing is so beautiful and so great for the wardrobe that I'm looking for. With a love for printed and coloured trousers I don't think building my future wardrobe will be a problem. I just need a little spending money first... Does someone want to buy me some pretty new printed trousers please? I really like the black check ones! They are super cool!